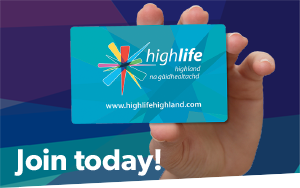 To join High Life Highland, please choose which service you would like the subscribe to – either Leisure or Libraries – and then follow the instructions on-screen. We are here to help, though, so if you get stuck, please do get in touch with us. Alternatively drop in to your nearest leisure centre or library and speak to us there.